3 How are Temporal Transitions in NBs Controlled? 12 A Heterochronic Pathway for Larger Animals? This new volume of Current Topics in Developmental Biology covers developmental timing, with contributions from an international board of authors. 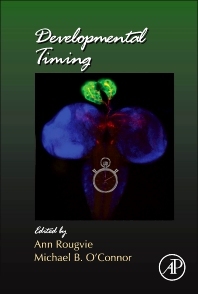 The chapters provide a comprehensive set of reviews covering such topics as the timing of developmental programs in Drosophila, temporal patterning of neural progenitors, and environmental modulation of developmental timing.